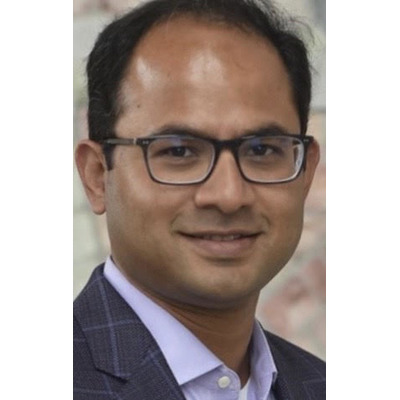 Today’s Entrepreneur is Mainul Mondal, he is the founder and the CEO of Ellipsis Health. Ellipsis Health's product uses just minutes of patient speech to provide clinical staff with a real-time estimate of a patient’s level of depression and anxiety. Mainul is also a leadership delegate with the Australian American Leadership Delegation and worked to bring together Australian and American leaders from government, enterprise, media, education and the community to help review and refine the parameters of the Australian-American bilateral relationship. 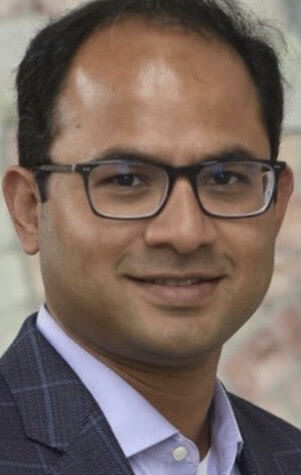 Before Ellipsis Health, Mainul was a founding team member of ClearStreme at Stanford University, which is working with private industry, research institutions, the Asian Development Bank, the World Bank, and governments in the U.S. and the Global South to deliver clean combustible technologies that reduce environmental emissions. Mainul was a Rockefeller Fellow at the Public Health Institute. He has presented lectures and ran workshops as an invited guest speaker at numerous universities and conferences, including Stanford University, University of California, and IIT. Ellipsis Health is going to present at Invent Health - Future of Behavioral and Mental Health on April 4th in UCSF Mission Bay. Register here. Depression is the number one cause of disability globally according to the World Health Organization. Locally, depression costs the US $215 billion annually, with half due to medical costs and half due to loss in productivity at work. One cannot manage what one cannot measure, and identification of depression is severely lacking both in the US and abroad. Screening for depression only occurs in a little over 1% of primary care visits, and primary care physicians miss 50% of those patients with depression in their practice. This data gap logically extends to payers, who cannot assist in directing patients to appropriate resources available to decrease the risk in their member population. In patients with chronic disease, untreated depression adds 2-3X to their cost due to such things as medication noncompliance and intractable behavior change and of course results in lower quality care. The current modality for depression screening is a survey composed of 9 questions, but as with any survey, compliance and engagement is poor, and it can take anywhere from 3-10 minutes for patients to complete such a survey, with the longer times due to assistance required for patients with educational challenges. As holistic care becomes more widespread, patients are being asked to complete an increasing number of surveys to identify other behavioral health conditions such as anxiety and PTSD that require unique care plans, leading to survey overload for patients, and as a result, noncompliance for their completion. Ellipsis Health is solving this screening dilemma by creating a vital sign for behavioral health using voice as a biomarker. Since voice is a natural interface and can be used to obtain simultaneous behavioral health screenings with a single interaction, patients will be more engaged and compliant. Depression is the first targeted condition due to its significant impact on patients and society. Frustrating: healthcare sales cycles are long and technology assimilation is even longer. Rewarding: creating a product that has a significant impact on a large number of the population. Recruit team who are smarter than you, assume positive intent and learn more from failures than success. How is your startup revolutionizing behavioral and mental health? With unprecedented screening rates for behavioral health conditions, more patients will get the right treatment at the right time in the right place. From a population health perspective, patients can be more accurately risk stratified and therefore the allocation of limited clinical resources can be provided in a much more cost-effective and quality of care manner. This will benefit payers, ACOs, and health care organizations. Mental health providers can also benefit as they have no window into their patients' condition in between office visits, but with a frictionless screening tool that can be used with the desired frequency, they can monitor their condition and intervene early before those patients deteriorate to the point where an Emergency Department (ED) visit or hospitalization is warranted. Medication management for behavioral health is also challenging, and this process can be greatly accelerated with monitoring using Ellipsis Health technology where there was no data before.